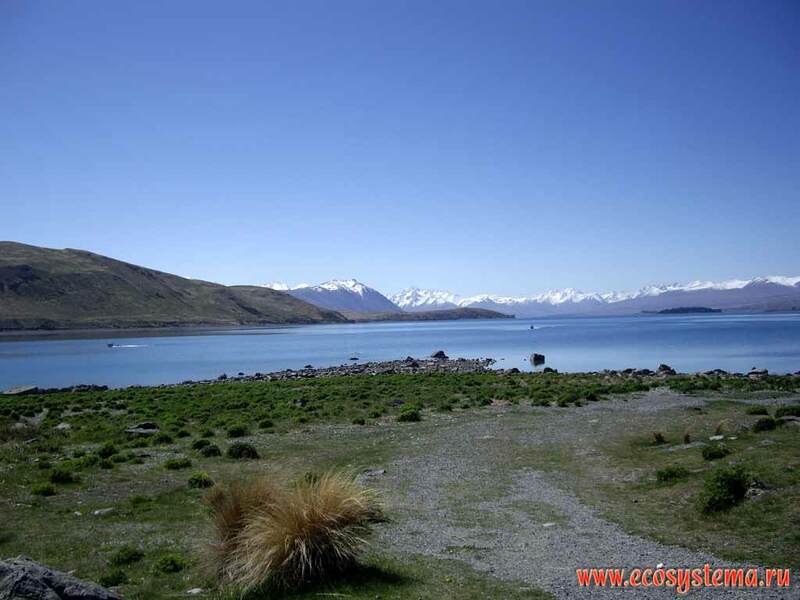 Lake Tekapo - the typical mountain (alpine) oligotrophic (with low nutrient level) glacial lake. 700 meters above sea level. Southern (New Zealand) Alps.